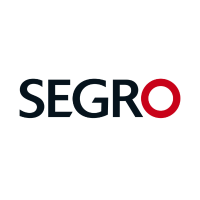 SEGRO plc (LON:SGRO) announced the appointment of Mary Barnard as an independent Non-Executive Director with effect from 1 March 2019. Mary Barnard is currently the Region President of Chocolate Category, Europe, for Mondelēz International Inc., the multinational confectionary, food and beverage corporation, having responsibility for the commercial leadership of operations in the European chocolate market. She is also President of CAOBISCO, which represents the European chocolate, confectionary and biscuit industries, focusing on creating value across the supply chain. Mary has a background in sales and marketing, having previously been Senior Vice President and General Manager for the Pepsi-Lipton Partnership, responsible for all core business operations, including sales, marketing and R&D. She was also a Non-Executive Director of Poundland Group plc between 2015 and 2016. Click SGRO for the full archive.